J. Mota Services has been repairing roofs since 2007 in Wellesley Hills Massachusetts. We have the expert staff to provide you with superior quality services and products for all your roof repair needs. There is nothing more important to us than the safety and satisfaction of our customers, which is why we can work quickly, yet carefully, to complete repair jobs. Whether you have a few missing shingles or a giant hole in the middle of your roof, don’t panic. 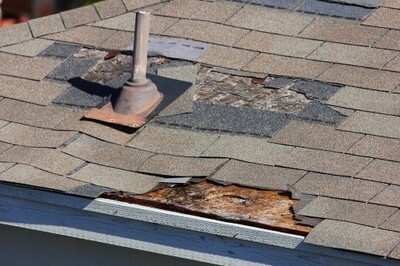 Our professional roof repair services can correct the problem in no time. Don't put off your roof problem for another day. Call J. Mota Services for quality, affordable roof repairs in the Wellesley Hills area! 5★★★★★ - "I'm very happy I came across J Mota Services when looking to get my roof repaired. When I first called and spoke with Jaime Mota, he was working on another job and asked me to send him my information so he could get in touch and get me a quote. He showed up the next day, worked up a quote, and showed up to do the job after we settled on the price. Sadly, this is a big deal in and of itself. So many contractors out there don't even waste their time returning calls for "small" jobs, not understanding what they're losing down the road. Jaime and his team were hard working, professional, and friendly. I am very impressed with their work and I look forward to using them for future projects." 5★★★★★ - "Jaime and his assistant, Fernando, are the best. They are careful, attentive to detail, and reasonably priced. They have completed numerous projects at my home and I would hire them again with total confidence. You will be very pleased with their work." 5★★★★★ - "I wanted to let everyone know who is looking for a detail oriented, attention to detail guy to look no further than J MOTA SERVICES. Jamie and Walter's work is unbelievable. I recently hired J Mota to install 37 sq ft of kitchen backsplash and install tile in my hall bath and results are fantastic. I'm very picky and actually look for mistakes and couldn't find any worth mentioning. Not only is Jamie's work great, but he's a nice guy, courteous, professional and accommodating. His price was very fair especially considering his attention to detail which rivals my own. Very hard to find a guy like this that cares about his work and Jamie definitely does. I have already hired Jamie to install tile in my master bath. Simply put, hire this guy, you won't be disappointed." 5★★★★★ - "Jaime came to my house to paint the bathroom walls and paint my window trimmings in the kitchen. He did an outstanding job. He is very clean when he does a job and he is very articulate about how he does a job for someone. He is proud of his work. I definitely will be calling him when I do my floor tile in the bathroom and kitchen. I would recommend him to anyone." 5★★★★★ - "My wife and I are preparing to sell our house and we needed several jobs done, both big and small. I initially called Jaime to fix some trim around exterior windows. After explaining to Jaime what I needed done, he gave me a quote to do everything. This included interior and exterior painting, refinishing hardwood floors and doing carpentry. Jaime gave me a great price (the best by a long shot), they worked fast, did a great job and communicated every step of the way. Given the amount of work we needed, Jaime and his team saved us! Jaime is a class act. He is polite and friendly. I highly recommend him and will certainly be a repeat customer"
5★★★★★ - "Jaime is highly skilled and knowledgeable in carpentry. I hired him to repair an antique dresser for me and he did an excellent job. He is also very fair and reasonable with pricing. Simply the best workmanship. Thank you Jaime!" 5★★★★★ - "We have been working with J. Mota Services for over 5 years. Jaime is great to work with." 5★★★★★ - "I have used Jaime for years. He does excellent work and is very neat. I also use his cleaning service. What I love most about his services is that he is trustworthy and does great work."